The SECURILISSE® GC-DAD railing is a collective fall protection system. 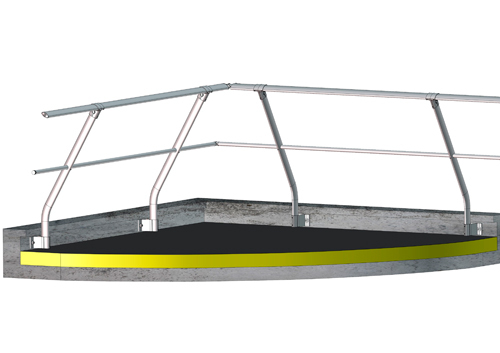 It is designed for roofs inaccessible to the public and is the ideal solution for mounting on a vertical surface. Technical information : Supplied with instructions and drawings available on our extranet. 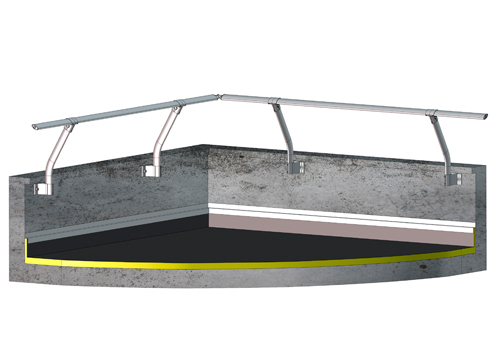 The SECURILISSE® GC-DAD2 is used for installation against a parapet with a height between 100 mm and 570 mm inclusive. The SECURILISSE® GC-DAD-1 is used for installation against a parapet with a height over 570 mm. 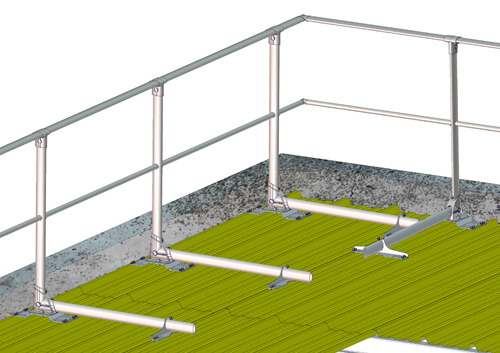 The SECURILISSE® GC-IAD2 is used for installation against a parapet with a height between 160 mm and 630 mm inclusive. 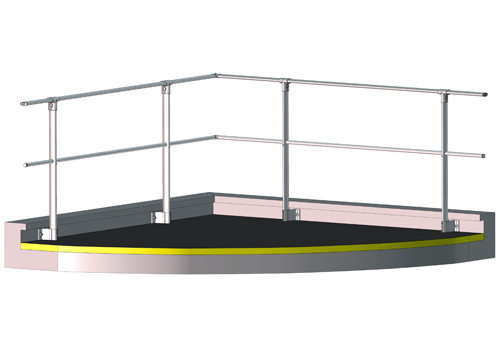 This version with a 30° slope will be chosen for aesthetic reasons as the railing is less visible from the ground. 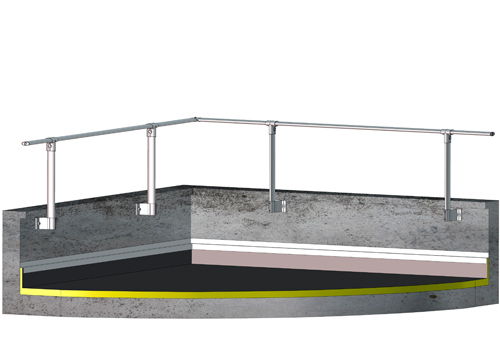 The SECURILISSE® GC-IAD1 is used for installation against a parapet with a height over 630 mm.